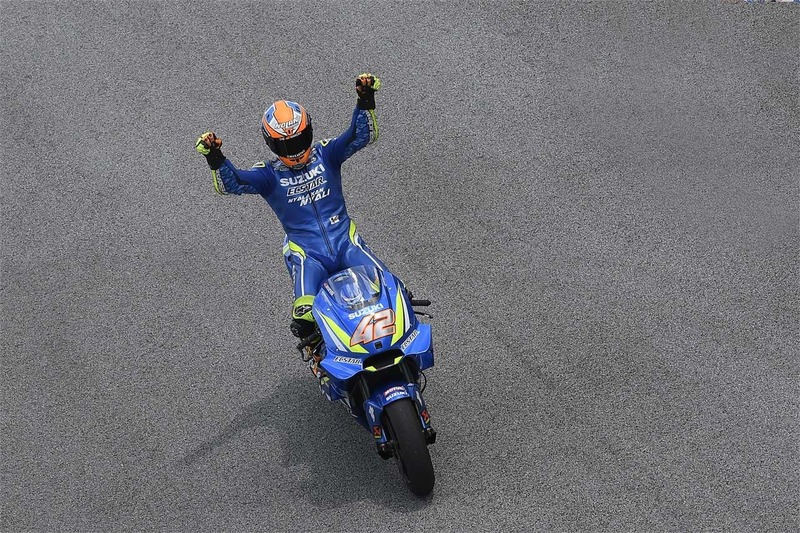 Alex Rins took his fourth podium of the season, Suzuki's eighth of the year and third in a row, when he finished in second place at Sepang for the Malaysian Grand Prix. Rins was quick all weekend in the dry conditions, and was fastest after day one. Tricky conditions for qualifying left him down on the third row, but with the race taking place in scorching conditions, the youngster was again able to prove his and the GSX-RR's pace and charge through the field to equal his season's best result. 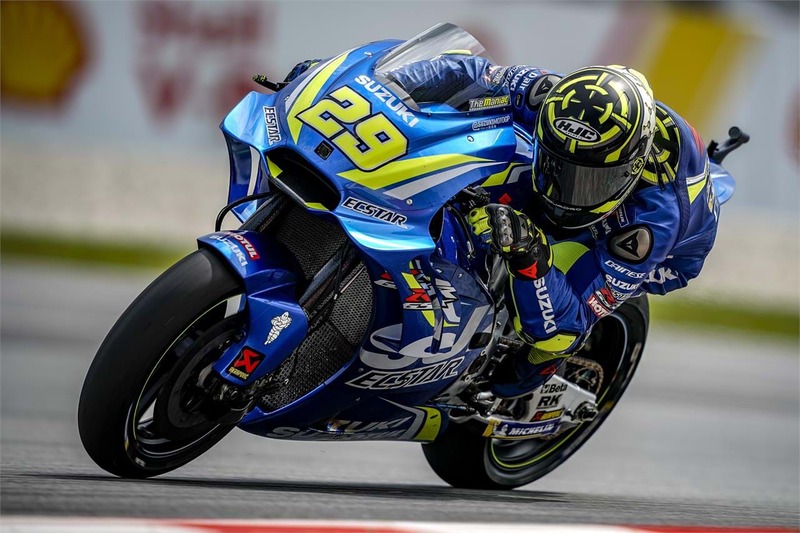 Despite having the pace to run at the front, it was a difficult opening few laps as riders jostled for position, and Rins lost time to his rivals. However, settling down, he began passing riders in front of him, and set about chasing down the leading group. Closing in all the time, he passed Johann Zarco in the closing stages to grab second place at the chequered flag. 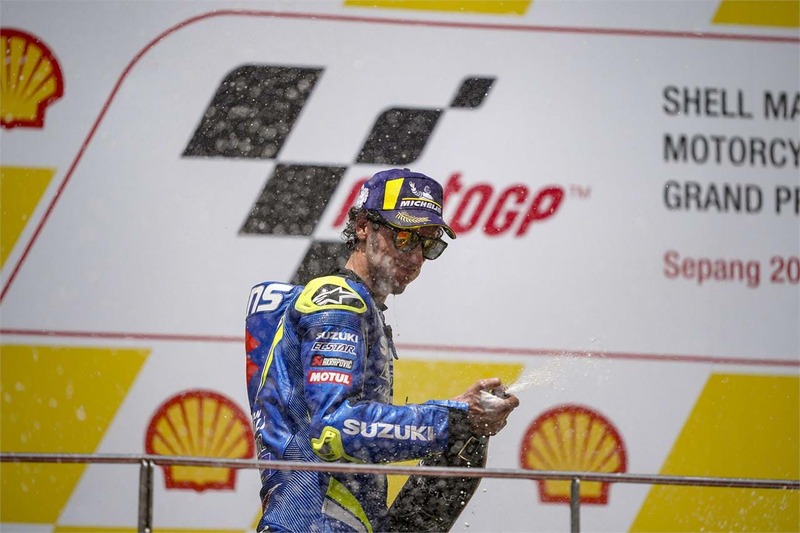 Rins said, "“I feel very happy because our race pace was strong and I was able to close the gaps to the other riders and pass them during the race. I still had very good pace even in the last few laps because I was able to manage the tyres well, but I lost time earlier in the race so that made it more difficult. "We’re working really hard and we have found important things and learned more for next year. I’m very excited to go to Valencia, especially as we are feeling very strong with the bike now, and Suzuki deserve to end the season on a high." Andrea Iannone started the race from the front row, and was also confident of fighting for the podium. However, he was unlucky to crash on the opening lap when following close behind Marc Marquez, and tried to take avoiding action when the Spaniard, too, nearly crashed. He said briefly afterwards, "I’m a bit disappointed because we had the chance to take another podium, but I don’t want to focus on what happened today. I always try to think positively, and the good things are that I had strong pace and I had a really good feeling with the bike after the team and I worked hard together. So I’ll just remain focused on the last race of the season and I will give my all to have a good result there."